The track was built as a cinder ash 5 lanes all round track in 1960. It was upgraded to a 6 lanes all round track in 1963 and had a Nortex Gold shale-like surface. In early summer each year the track is usually given some cosmetic maintenance and the lanes are marked out to enable schools meetings to take place. The curb is pretty much intact and not overgrown. The SP circle is still usable but has no markings. The LJ and TJ runways and pits are still just about usable. The SC water jump has been out of service for several years. The infield is a football pitch. It is uncertain whether the track length is 400m or 440y. 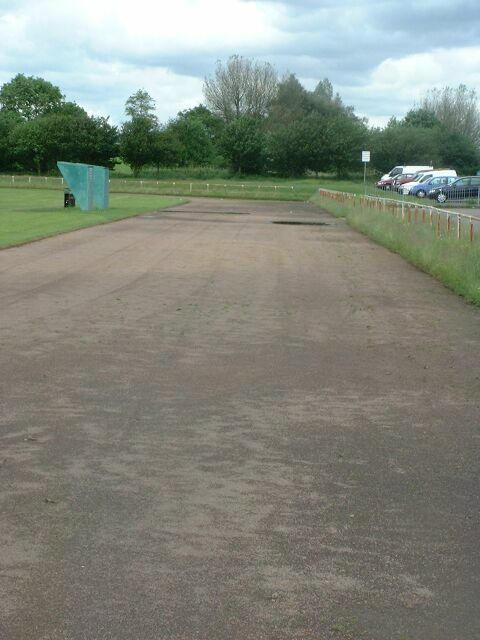 More details of the history of the track can be found in the Rochdale Harriers club history. The track pictures are courtesy of Kevin Edge.